Exclusive First Look at Cutie Mark Crew Blind Bags! 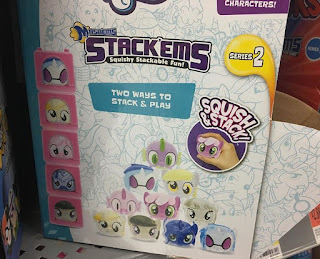 At the first announcement, only two weeks ago, we've read tons of positive responses on the Cutie Mark Crew series that Hasbro will introduce this year. 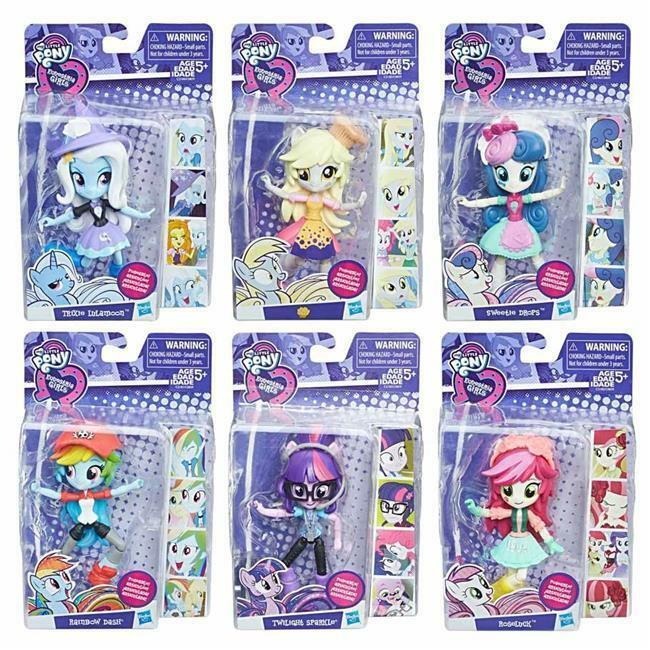 After a bit of digging we managed to get more information about the first set of blind bags that will be released alongside the 5-packs. And not just any bit of info, but the complete line-up for wave 1 + box design! 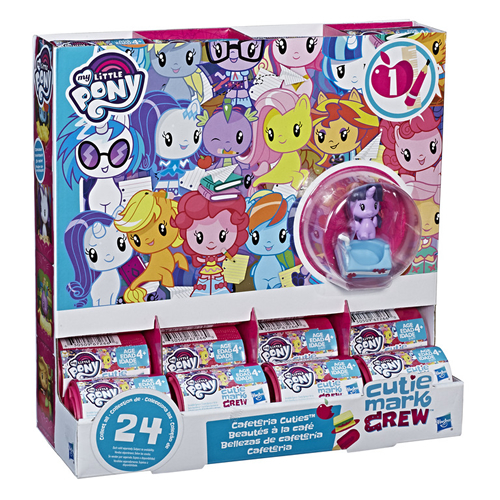 The Cutie Mark Crew blind bags line continues with the regular 24 characters per box, but this time you'll get either a pony, seapony or Equestria Girl. 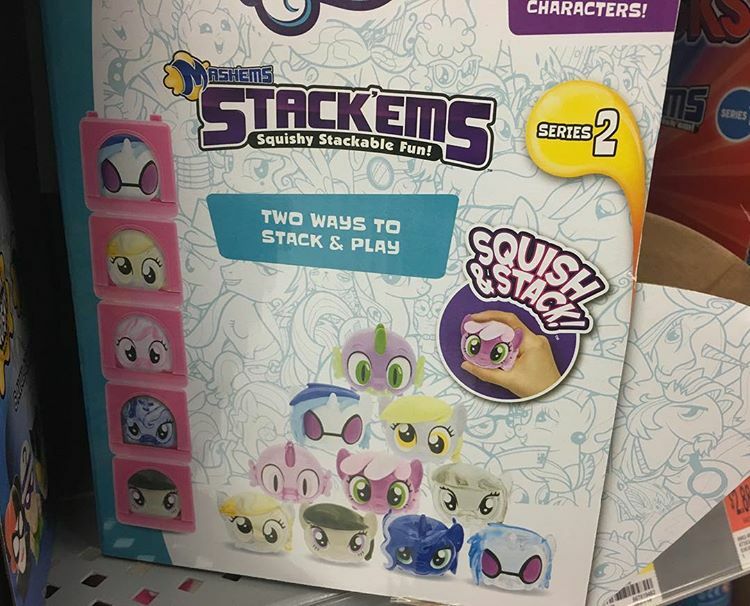 In all three categories the mane 6 is featured, but one is missing: a seapony Rarity is not included. This first wave, which is named 'Cafeteria Cuties', the totals come up at 12 ponies, 5 seaponies and 7 Equestria Girls. 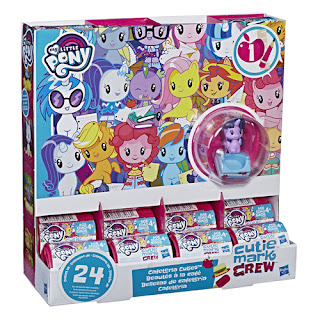 Every character comes with a unique accessory and a 'home' in which they fit, and these can be stacked on top of each other to easily store and display your collection of Cutie Mark Crew figures. Below we have the list of characters that will be included in the first wave, which is expected to be released in May of 2018. 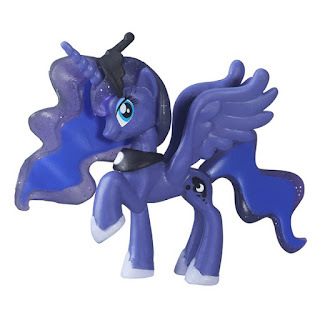 Also listed is the official description for this new line of blind bags. Friendship Festival Party Friends Set Appears on TRU Website! 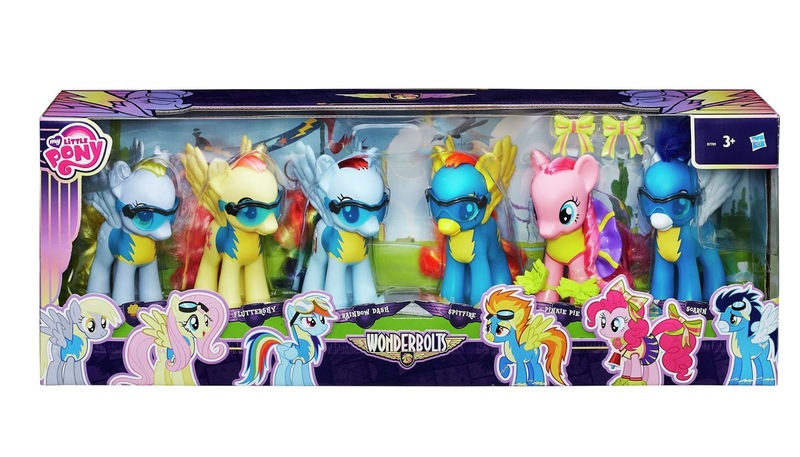 Looks like we also finally know Toys'R'Us Exclusive line for this year: Friendship Festival, as this set was spotted on their website. 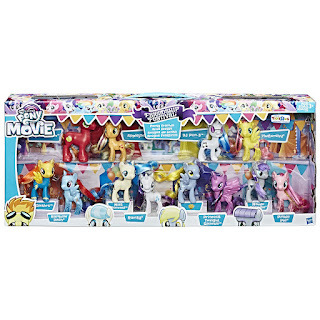 This set contains the Mane Six with tinsel in their hair and glitter on their legs and they are each combined with a friend who are Derpy/Muffins, Big McIntosh, DJ Pon-3. Spitfitre, Coco/Miss Pommel and Maud Pie. 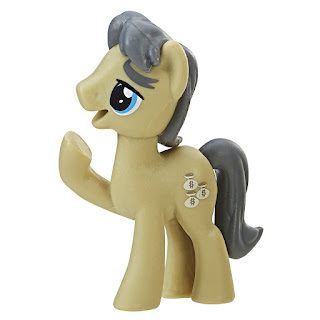 This also solves the mystery of how Maud Pie and Pommel would be released. 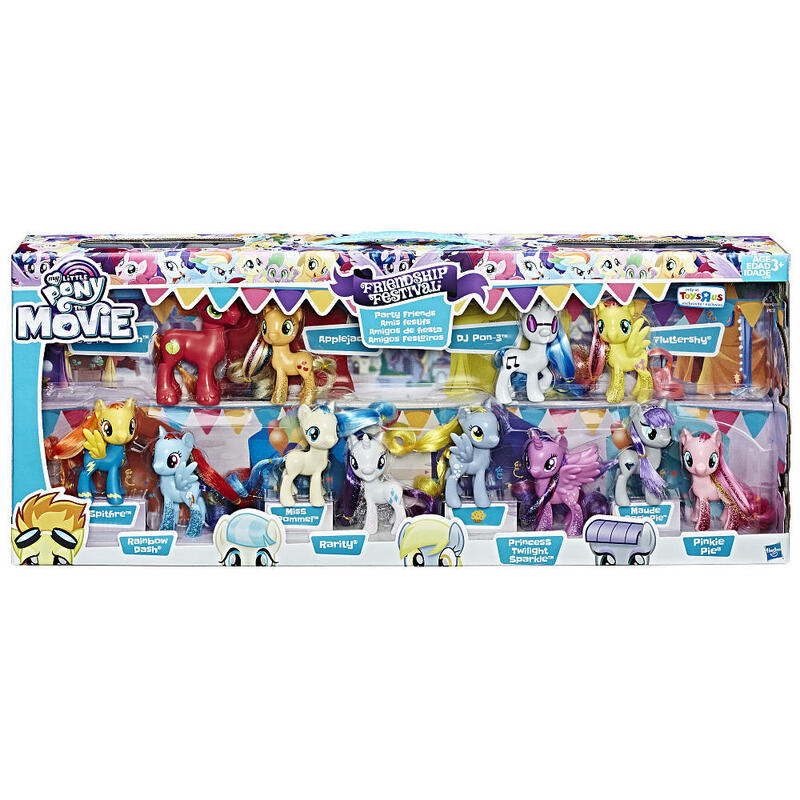 Since the gimmicks of the Celestia and Luna brushables we spotted earlier, match with that of the Mane Six, it's most likely that they are part of the set as well. 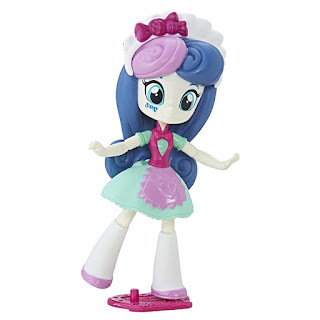 New Equestria Girls Minis Announced - The End of EqG Dolls? Hasbro has released their official press statement for the upcoming line of Equestria Girls for 2017. Several figures have already been announced before, but there is plenty of new merch coming our way the coming months, including some interesting names! Expect sets with Starlight Glimmer, Daring Do, Trixie, Muffins (Derpy) and more, including a new character: Juniper Montage! 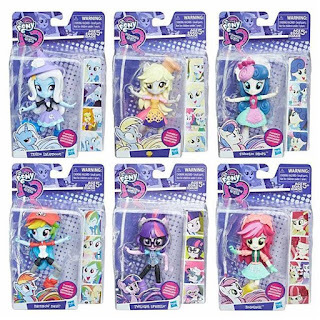 A big point of attention is the fact that all listings for this year's Equestria Girls line-up consists of Minis and with that it's officially over for the Equestria Girls dolls line. 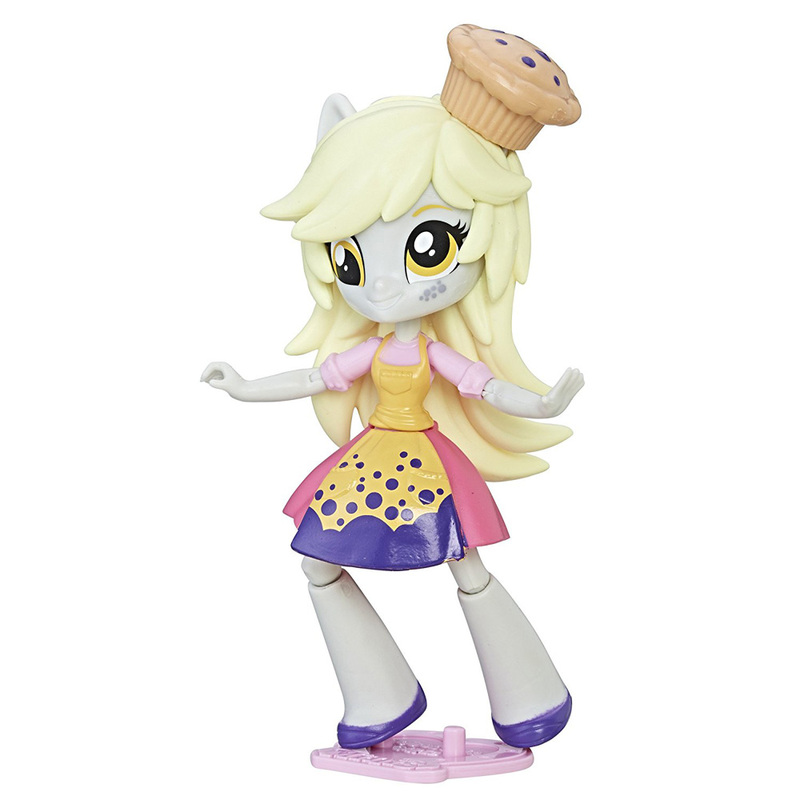 We'll await the Toy Fair for a definite conclusion, but the released info is a pretty big hint. We've listed all press release information below and highlighted the more interesting names to make it a bit more readable. 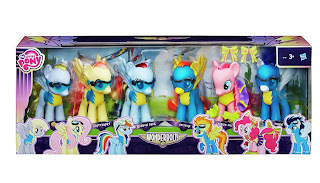 Taobao already revealed that the Wonderbolts line would be a Target Exclusive line, but as always Argos UK also carries this line, and for some reason the new Wonderbolt merchandise has been spotted both in-stores and online... well only two sets. 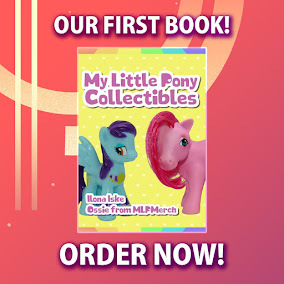 The first figures of the Nightmare Night Friendship is Magic Collection have appeared on Amazon. The four single figures have low stock and are sold by 3rd party sellers, but this is usually an indication that the figures will be properly available in a week or so. The other, bigger sets are not available yet, but it could be a matter of days before they pop up on Amazon or other websites. Below we have the listings for the figures that are available at the time of writing. I expect the first batch to sell out quick, though!